Home repair services, maintenance services ads in Townsville. Thank you for visiting our free advertising website Home repair services, maintenance services, Townsville section. We provide high response free classifieds and free advertisement. Use our online free Home repair services, maintenance services classifieds placement system to find, list, offer Home repair services, maintenance services online! Now a days, remodeling a kitchen is not a hectic work. However, if you are trying to remodel the kitchen or planning for a new whole kitchen, it will be an exciting and challenging experience. In present days, the kitchen has become the center of social, family and functional activities in every household. The bathroom is one of the first places homeowners want to remodel, but determining your bathroom remodeling cost can be easier said than done. Up until relatively recently, the bathroom was a place people were more likely to sneak off to or get in and out as quickly as possible, but today's modern bathrooms are places of luxury and relaxation, even in modest or small bathrooms. Story telling is an art, and a wonderful art. A good story teller can enthrall the audience and transport them to a different world. Kindergarten stories are fun to hear and read and are eagerly looked forward to by most kindergarten children. Most children grow up hearing a lot of stories. Stories are a powerful influence on us. Handy Tradie! For all your building, carpentry and handyman needs! Efficient, cost-effective and professional service to your door! Qualified Carpenter with over 15 years industry experience..... NO OBLIGATION - FREE QUOTES For all your home repairs, maintenance, renovations and refurbishments! 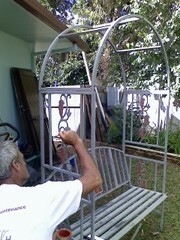 View our website today http://handytradie.webs.com/ Visit us on Facebook http://www. Bryland Constructions - renovations, decks, fencing, sheds, carports, awnings & concreting. Billiare Solutions Cleaning & Maintenance Townsville, is a locally owned and operated family business. Local knowledge assists us in ensuring we understand the needs of our clients who live and work within our region. With over 20 years in the cleaning, hospitality, gardening and maintenance industries, this family business offers professional service and reliability. No Job Too Small! Doors/Locks Fixed, Decks, Bathroom Renovations, Fix Outs, Framework, Roof Repairs, Pergolas. Fully Licenced, over 10 years experience. Quotes available. Phone 0450706800..
Micks Maintenance & Mowing is located in Townsville, Qld. We are local family company that provides a high quality lawn mowing / garden care, as well as a professional and competitive home maintenance repair service.Understanding the needs of our local community allows us to assist them with all their needs, and at a fair price. Micks Maintenance, Handyman & Lawn Mowing Townsville, is focused on providing a high-quality home maintenance, handyman, cleaning and lawn mowing service with customer satisfaction - we will do everything we can to meet your expectations. All home repairs/maintenance, rubbish removal, garden clean ups, concrete slabs and more. Townsville Cleaning and Maintenance Services specialise in the whole home and business. Our services include weekly home cleaning, end of lease/bond return cleans, spring cleaning, commercial cleaning, handyman and maintenance repairs, and all aspects of gardening and lawn mowing services. Our garden ans lawn mowing services offer weekly lawn and garden maintenance, or total yard clean ups! Cement paving, shed slabs, paving and other outdoor maintenance available. Big J's Painting your local friendly Painter on the strand 12 years experience with trade cert Interiors/exteriors Fences Roofs Feature walls Do ups Call Justin for a free quote today 0457362413. Australia free ads for Home repair services, maintenance services, Townsville, Home repair services, maintenance services free ads Townsville, Home repair services, maintenance services for sale Townsville, Home repair services, maintenance services to buy in Townsville. 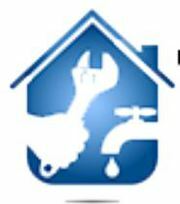 Find on this page free classifieds for Home repair services, maintenance services in Townsville. This listing includes classifieds for sale and to buy in Townsville. FREEADSAustralia Townsville offers you a platform to post free advertisements or classifieds for Home repair services, maintenance services in Townsville. FREEADSAustralia helps you search, find buy, sell, rent or hire in various categories like apartments, goods for sale, local services, cars , jobs and many more in Townsville. If you posted an advertisement in category Home repair services, maintenance services of FREEADSAustralia Townsville before please use Edit my ads button to change or cancel your ad. Home repair services, maintenance services Townsville ads Townsville, Home repair services, maintenance services classifieds Townsville, Home repair services, maintenance services free ads Townsville, ads for sale Townsville, ads to buy Townsville, FREEADSAustralia. Find here ads for sale, to buy and rent in Townsville. Goods for sale in Townsville, vehicles for sale in Townsville, Townsville real estate for sale, Townsville property for sale, property for rent in Townsville, business ads in Townsville, Townsville business classifieds, services in Townsville, Townsville services ads, jobs in Townsville, pets for sale in Townsville, Townsville dating, Townsville cars for sale.